Save the date and mark your calendars. #TwitterFiction Festival will return from May 11 through May 15, pushing the boundaries of storytelling to bring fiction to life on Twitter—and onstage during an exclusive live event in New York City. #TwitterFiction Festival is a global, industry-wide event organized by Penguin Random House, Twitter, and the Association of American Publishers. The 2015 festival features twenty-two authors, including Penguin Random House’s own Margaret Atwood, Eric Jerome Dickey, and Celeste Ng. #Twitter Fiction Festival will also showcase works from writers who won a public competition by submitting their story ideas to a panel of festival judges. On May 13, the 2015 #TwitterFiction Festival will also feature an in-person event in New York City that will bring the spirit of the festival to a live audience. The event will include such authors as Gayle Forman, Myke Cole, and Anna North, as they create Twitter fiction onstage with help from the audience. Stories will also be enhanced with live illustrations and original music. Tickets to the event are now on sale, and available for a limited time. 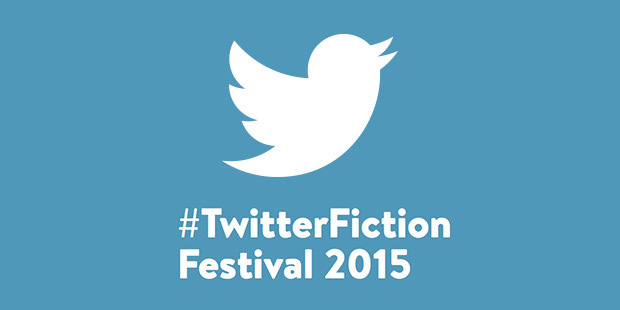 All authors are encouraged to flex their creative muscles and create Twitter fiction during #TwitterFiction Festival. Tell your stories with the hashtag #TwitterFiction. For more information about the festival and the complete lineup, visit www.twitterfictionfestival.com. Milena Schmidt is part of the Random House Digital Publishing Group.